Kentuckiana Blues Society 24th Anniversary Celebration | Louisville, Kentucky | Joe Hayden Real Estate Team - Your Real Estate Experts! 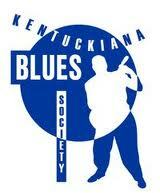 The Kentuckiana Blues Society's 24th Anniversary Celebration is ready to share the blues with you this Saturday. The party will be hosted by the historic Vernon Club at 1575 Story Avenue in Louisville on November 17th. Blues enthusiasts will find an entertaining evening filled with good, old-fashioned food, fun and blues from 6pm until midnight. The venue offers families plenty of activities to complement the music with private bowling lanes, billiards, a restaurant and a fully-stocked bourbon bar. The 24th Anniversary Celebration will be a special day for the Kentuckiana Blues Society and several renowned musicians will be performing at the party. 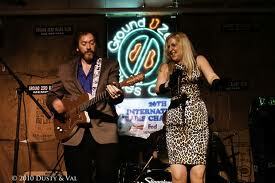 Long Tall Deb and the Drifter Kings of Columbus, Indianapolis' Gordon Bonham Blues Band and Louisville's own Joe DeBow and Danny Henderson will all be bringing the blues to the stage for the entertainment of the crowd. The Kentuckiana Blues Society is a not-for-profit organization that has worked locally since 1988 to keep the blues alive in Louisville. Traditionally, the blues included good music, good food, friends and family and Blues Society's 24th Anniversary Celebration will hold that to heart. Families and friends won’t want to miss the Vernon Club party at 1575 Story Avenue on November 17th to celebrate the spirit of blues in Louisville. To learn about other great events in the area, please visit our Louisville Real Estate website.